Open innovation is not meant to be solely firm-centric, it can be implemented between startups and corporates but also among consumers, innovation insiders and creative parties. Open innovation is cross-cultural, cross-geographical and a cross-industry collaboration that impacts all levels of society and business. At Mind the Bridge we like to think that when it comes to open innovation, we are both creative and creators. As such, we seize the opportunity to tap into any number of impactful initiatives. That being said, we are happy to announce that Mind the Bridge has been selected to be the US partner of IMPACT Accelerator, one of the top seed accelerators in Europe and listed as top 10 in the World according to 2016 Gust accelerator report, who launched IMPACT Growth in 2014. IMPACT Growth, led by the international digital business school ISDI and the premier platform to win public funding, FundingBox, is one of the three programs of IMPACT Accelerator. 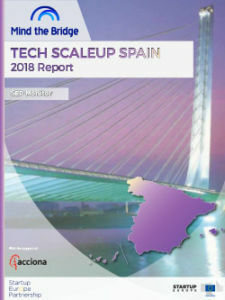 It was formed by a consortium of 11 entities based in Spain, Poland, Denmark, and Italy among other countries, which invested over €14 million in 77 startups from 2014 to 2017. The project will select a total of 28 startups, granting each with 100,000 euros equity-free for their initial funding and the best four with an additional funding of 150,000 euros, also equity-free. As part of this partnership, Mind the Bridge will be supporting and hosting the selected growth stage startups in our headquarters in San Francisco for a week of business development activities starting in February 2018. 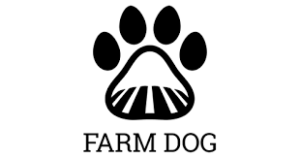 Our first session with IMPACT included three selected startups, Clarity, Farm Dog and Yerbabuena VR. Tool for investment managers that allows them to monitor the social impact of the investments they are making. Pest and disease management platform that helps growers optimize pesticide use, increase yields, and promote environmental sustainability through the use of AI and field-level analytics. Turnkey B2B solution for VR video streaming that optimizes bandwidth, has cross-platform support, and a full analytics suite, creating next generation Immersive Video experiences. IMPACT Growth, powered by FIWARE Technology, is focused on 4 verticals, each one supported by a dedicated global brand: Smart cities (led by Ferrovial Servicios), Smart content (DOCOMO Digital), Smart agrifood (Danone) and Smart manufacturing (MADE). The collaboration was initially meant to be implemented in the US but, as we said, open innovation is cross-geographical. And so, based on the satisfying Silicon Valley Digital Mission in February, IMPACT will also launch a mission in to London on March 23, with a similar focus and with the participation 4 other selected startups (to be announced), again winners of the IMPACT Growth prize.